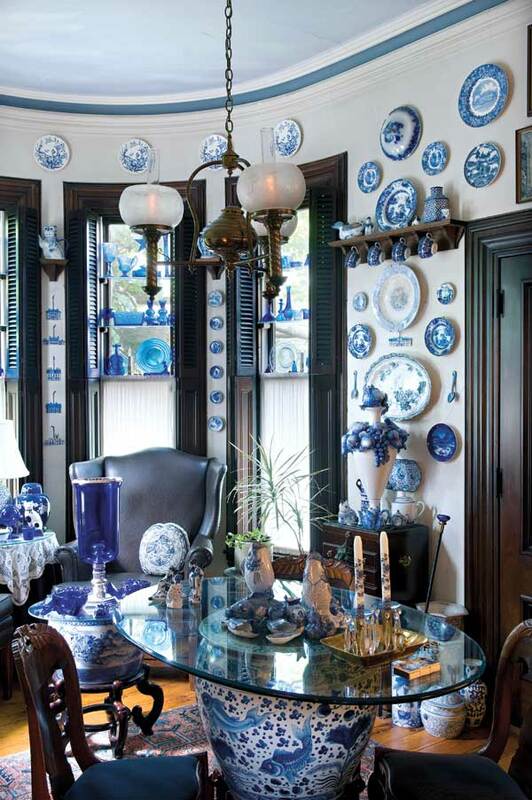 Blue and white together has been a staple in almost every style of American home décor since George Washington famously painted more than a dozen rooms at Mount Vernon in shades using Prussian blue. 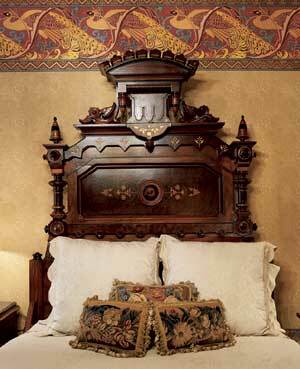 Colonial-era coverlets memorably paired white over navy in the “overshot” pattern. And flow blue—the Chinese-inspired dishware with its signature blurred glaze in rich shades of blue on white—was so wildly popular that there were more than 1,500 patterns by the mid-19th century. Even mid-century modern bathrooms were awash in blue and white. Blue has the reputation of being tough to work with. It’s commonly seen as a “cool” color—desirable for a bathroom, say, or a bedroom. But what about an intimate dining room? Or the living room where everyone gathers—no one wants to feel chilly there. Relax! 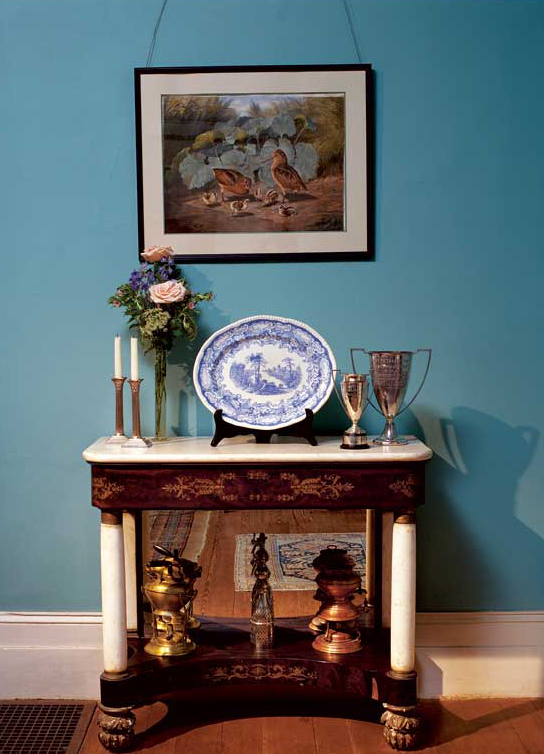 There are warm blues and cool blues, and a shade to meet every taste and mood. It’s beyond question that every color leans toward what is perceived as either warm or cool. The red/yellow spectrum on the color wheel offers colors considered warm and inviting, which advance into a room and create a cozy mood. The blue/green spectrum is thought of as cool, and receding, which generates tranquility. Yet the thousands of variations on blue (or any other color) in today’s paints and fabrics are created by introducing pigments from other parts of the color wheel. This allows every color family to have both a warm and cool side. In general terms, warm blues are those that contain some yellow. The tone of white that you choose for your woodwork is also important—white, too, may be warm or cool. White comes in many hues and tints, but broadly speaking, cool whites have a blue-gray undertone, while warm whites have a yellow cast. To determine whether the undertone is warm or cool, hold the paint swatch (with just one color exposed) against a blank sheet of white paper. 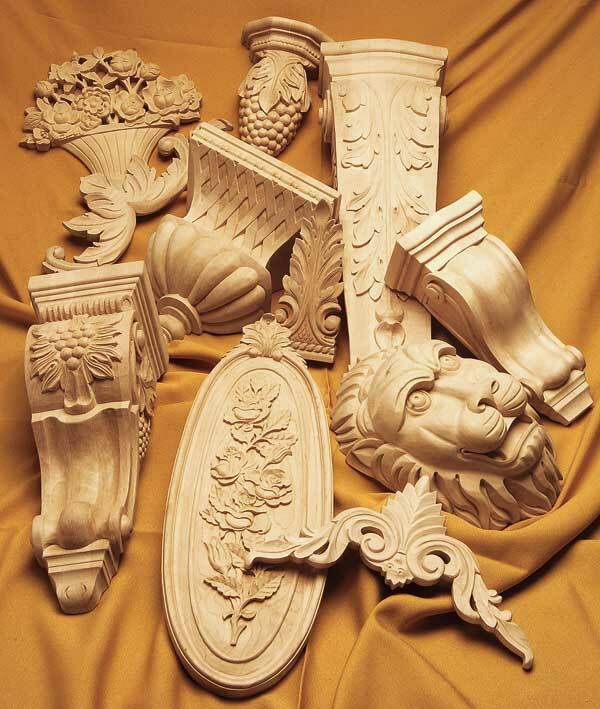 Remember, too, that paint formulations changed over the decades; pigments and chemistry affect color. Historical palettes today seek to reproduce colors of the past in modern paints. You might consider, too, that alkyd and latex paints give slightly different results, as does your choice of sheen (from flat through eggshell, semi-gloss, and gloss). Some paint companies offer old formulas (albeit updated for safety and consistent results). For example, The Old-Fashioned Milk Paint Co. has a product (still made of milk protein, lime, and pigment) specifically for non-porous surfaces like walls, in traditional milk paint colors. Once you have narrowed down your paint choices, paint large samples of both blue and white on your walls. Paint companies offer literally dozens of whites. Farrow & Ball, for instance, suggests to customers at least two options for white or neutral for each of their colors.